Kikizo: When you teach him how to fish, is that its own reward? Bell: There is a whole progression through that skill, getting different fish - especially if you're a cook fishing is a really good thing to do. By fulfilling the wishes you also get the Lifetime Reward points that you can spend on these special rewards. Or I could buy a Teleportation Pad to instantly move around town. So the reward for fulfilling your wishes is that you keep your Sim happy but you also get to unlock a lot of these special rewards. Kikizo: I'm aware that you have 97 lots max in each neighbourhood. Is the layout randomised? Bell: It is a set town, but you can change the location of any of the houses and you can change all of the people who are there. We're also... for anybody who registers their game, you'll be able to download a second town. That's a free perk when you register the game. Kikizo: Will that be available at launch? 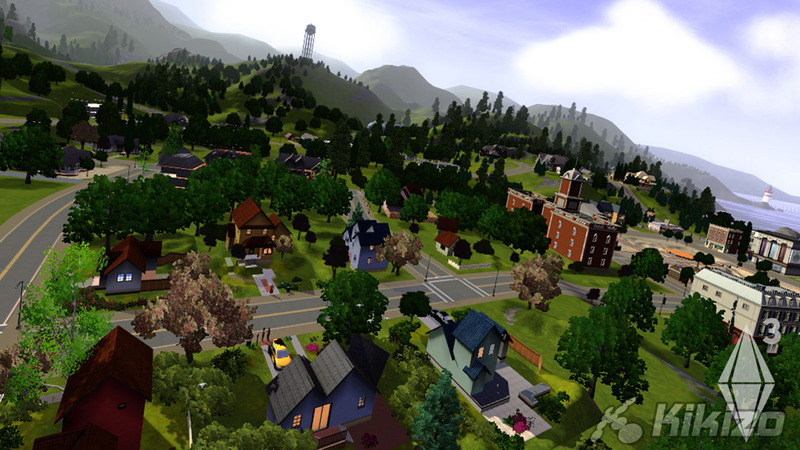 Kikizo: Maxis published a Sims MMO back in 2002, which was a mixed success. Did you learn anything in particular from that experience? Bell: Absolutely. Creatively there was a lot to be gained. We learned a lot about what people do and don't want from their Sims single player experience, and we learned a lot about what people want from an online game too. Kikizo: Would the game generate your diary automatically for you, like a news feed, or would you have to do that manually? If I share my household, it would go on my website, and anyone who's paying attention to my website would get an update: "Remy's household was updated on Ben's player page" and then I could do a personal log alongside of it. So people can check in and see what's happening. For a lot of people I know who like to write, that's one way they like to use the game. It's kind of an experimentation platform. Bell: It's interesting... Second Life is a game where you are a specific person - The Sims is a game where you can have many people. 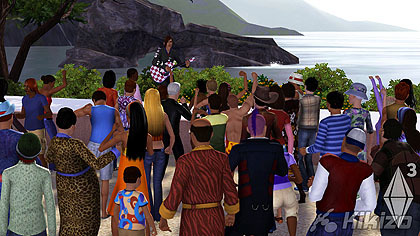 Definitely Second Life is something I've played with, but I feel like The Sims is just such a different kind of game, there's such a huge established audience, it's kind of a very unique experience that only we deliver. So those kinds of experiences are cool, but I think we're something different. We're your tool for creating your reality, and nobody else can interfere with that. You have complete authority in this town, and I think that's something that's really important for people to have. Kikizo: Thank you for your time.